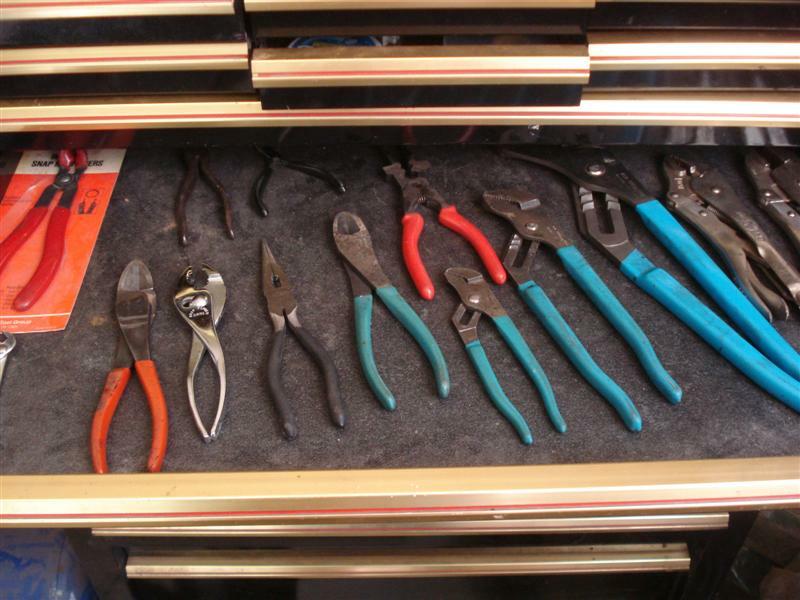 Not only necessary for automotive repair, hand tools are also a must-have for most other DIY projects, such as home repairs, furniture making, wood carving, and antique restorations. 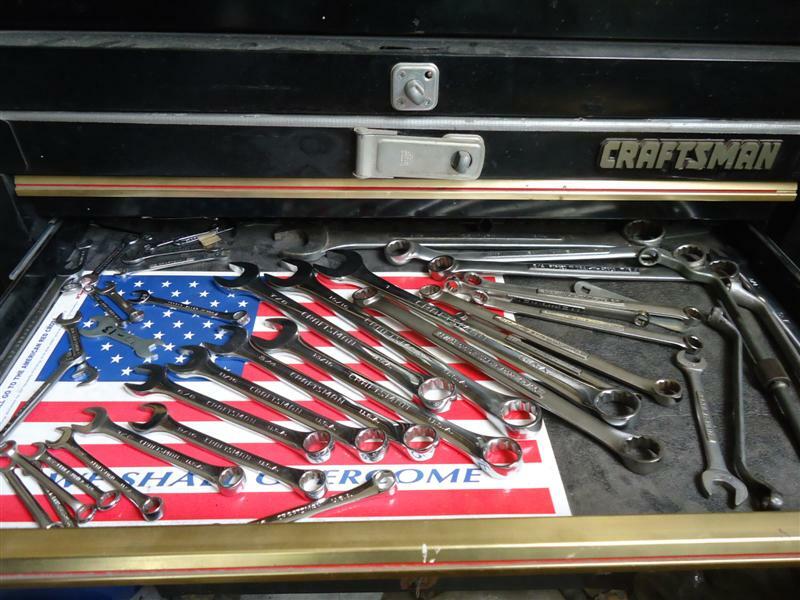 Hand tools for automotive repair include screwdrivers, wrenches, pliers, hammers, sockets and ratchets, and others. The feel of a tool is most important. If it feels good in your hand and is comfortable will ultimately determine whether it is good or not after wear characteristics. I have many hand tools that I bought 30+ years ago and they're still getting the job done. Many popular tool brands are no longer "lone" companies and have become part of a larger corporate family. For instance, Bosch owns Dremel, Vermont-American, and others. Snap-On owns Blue Point, Sioux, Williams Tools, and others. Ideal now owns S-K Tools. Stanley Works merged with Black and Decker in 2010, and is now called Stanley/Black and Decker. 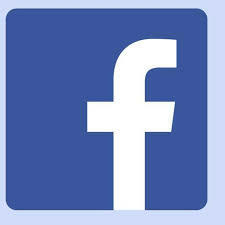 Their home base is New Britain, Connecticut, and they are a Fortune 500 American company. The company also includes Porter Cable and Dewalt. Like most countries, Americans have always had a sense of pride in owning American-made products. At one time they were the leader in many industries, including automotive hand tools. For decades, American-made tools were considered to be among the best in the world. Many European tools were also top quality, but when manufacturing costs rose, cheap inferior tools started flooding the market. Most of these were from the Pacific Rim, like China, Japan, and Taiwan. Once 100% USA-made, Craftsman is now a mix of U.S. and imported. They were originally an exclusive Sears brand, made by several tool manufacturers, including Danaher Tool Group, who also manufacture tools for Matco, Allen, K-D Tools and GearWrench. Their hand tools have always had a hassle-free replacement warranty. In 2010, Sears sold off Craftsman tools to the Black and Decker group. Based in Arlington, Texas, Martin Tool and Forge has been a family owned business since 1917. All Martin tools are made in the USA with the highest quality materials and engineering. Automotive specialty tools include hammers, dollies, and spoons. Mac Tools are predominantly USA made with very few import items. They were acquired by Stanley Works in 1980. In 1984, Stanley Works purchased Proto from Ingersoll Rand and it became Stanley Proto. In some cases, a Proto item will be near or completely identical to a Mac item in all but color and price. Blackhawk is Proto’s budget industrial line and features many American-made tools. SK Tools is another old American tool company. They used to be sold at many auto parts stores up into the eighties. In 1985, SK became part of Facom Tools. They were nearly out of business, but came back after being purchased by Ideal in 2010. Ohio-based Wright Tool is a privately owned company that focuses on the industrial market. They produce very high quality tools. Wright Tool doesn't have as many tools in their line up as other companies (like auto specialty tools), but they are 100% made in the USA with U.S. steel. Williams Tools was acquired by Snap-On a few years back and now they're technically Williams Tool Group, and operates as Snap-On's industrial tool division. Be aware that there are two Williams lines - one is U.S. made, while the other is Taiwan-sourced. Many modern hammer designs in use today were originally introduced by Vaughan Manufacturing, who have been around for over 135 years. Located in Walnut Ridge, Arkansas, manufacture of a Vaughan hammer starts with U.S. made, high carbon steel. They are made with an attention to detail that is exceptional. Other tool companies that manufacture in the USA include Bondhus, Channelock, Chapman Tools, Eklind Tool Company, Estwing, Park Tool, Snyder, and Stiletto Tool. Klein Tools has been manufacturing tools in America since 1857. Armstrong is known for their very unique looking ratchets which are of excellent quality. However, they be hard to find. Fastenal is one place that sells them. I've never heard any mechanic say they don’t need any more tools! Most Snap-On and Matco tools are still made in the U.S., although no longer 100%. Cornwell hand tools are mostly U.S. made. I'm sure there are more, but the point is made. There are still plenty of quality, precision tools made in the U.S.A.
Footprint Tools originally closed in May 2009 following financial difficulties, but has since re-opened. They now manufacture tools under the name Footprint Sheffield. Stanley/Black and Decker now own Britool (re-branded as Britool Expert or just Expert) and retain both British employees and some European manufacture. Some products are made in the Far East and imported as a finished item, or parts are made there with final assembly in the U.K.
Long renown for superb engineering and performance, German hand-tools always seem to have better ergonomics and a perfect fit and finish. Bosch is long-trusted name and is now in the Skil line of tools. 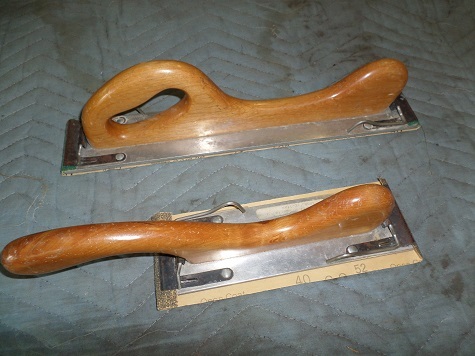 Other German-made tools are Hazet, NWS, and Witte. Produced exclusively in Wuppertal, Germany, Knipex is the largest manufacturer of professional quality pliers on earth. All of their tools are designed with the professional tradesperson in mind. 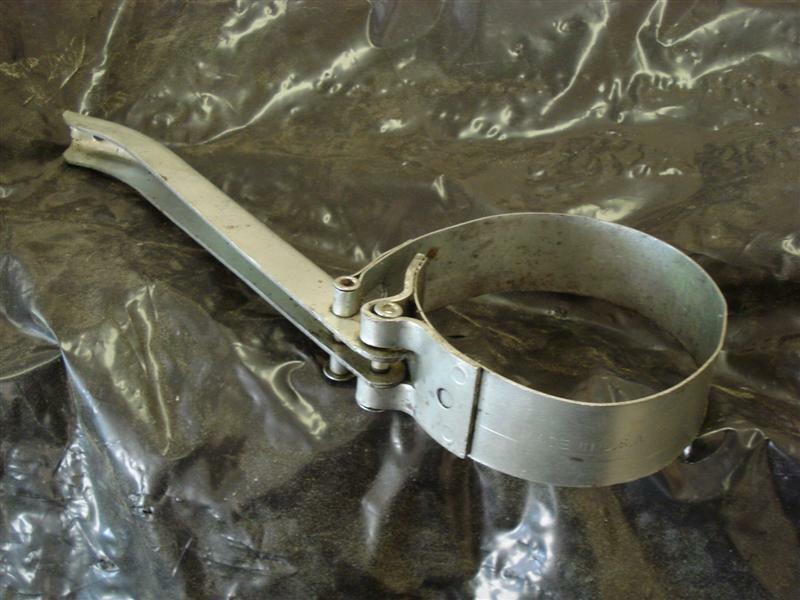 They are the best pliers manufacturer in terms of quality, innovation, and service life. Another German manufacturer of tools is Stahlwille, who make screwdrivers, sockets, spanners (wrenches), pliers, specialty tools, and others. While they aren’t as well known as many of the other tool brands, their quality is top notch. One of Stahlwille's most impressive tools is their "Zero Throw" ratchet. They look like any other ratchet, but there are no teeth! Any movement of the handle in the engaged direction results in movement of the drive, and when moved in the opposite direction, it slides on a clutch. The result is a ratchet that works in very small spaces. In 1995, Japan-Industrial brand "DEEN" began offering tools, and are one of the best-known brand tools in Japan. The Japanese-built Kokon is sometimes referred to as the "Japanese Snap-On". Today, some of the Pacific Rim companies are stepping up quality and producing a quality tool at a reasonable price. 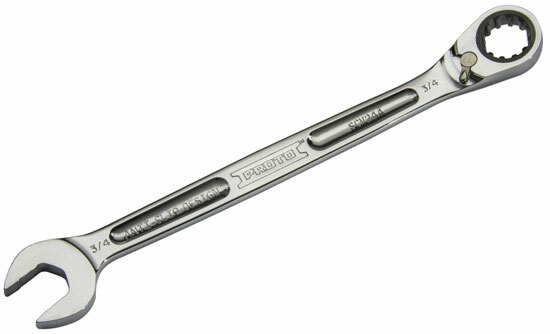 For instance, Taiwan-made GearWrench and Kobalt are a good tool for the money. You should care for your tools and know how to properly use them. I have broken more tools than I care to admit, but admittedly from misuse. Good tools last a lifetime. Actually, good tools will outlast you. I purchased this oil filter wrench back in the seventies for two dollars. Four decades later, I still reach for it during oil changes. Quality tools will be kept and used for generations to come. Who Makes The Best Hand Tools? The answer is, no one country or company makes all the best tools - they all have their own specialties. Although many American-made tools are still the best in quality and value, there are other countries that make top-quality tools that should not be overlooked. Quality tools are quality tools, regardless of where they're made. Always buy the best hand tools you can afford - they reduce fatigue and last a lifetime.